It's Sunday and with a little time on my hands, I thought of painting my nails. I have a huge stash of nail polish in my train case and I sadly will have to leave them all here and only take maybe 2 or 3 max with me to the UK when i move. 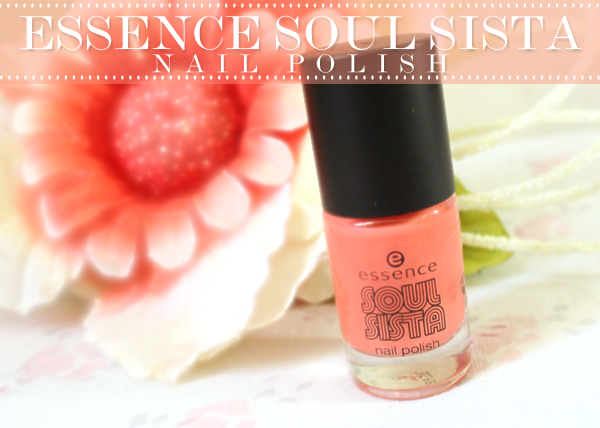 Since it's summer obviously I wanted something bright yet toned down so I opted for this Coral Shade from Essence. 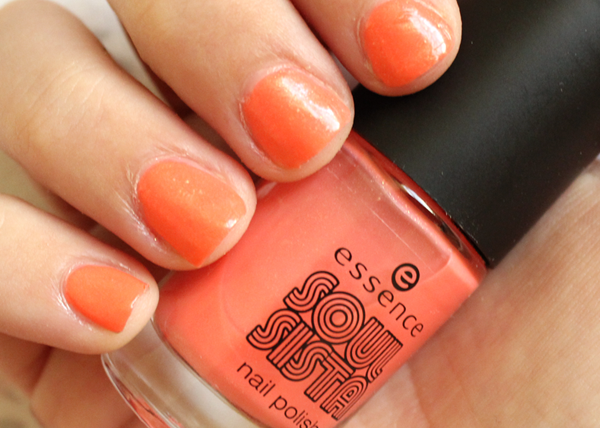 Essence came out with a range called "SOUL SISTA" and this lovely summery shade is one of the many summery shades they catered in this collection. It is a peachy orange and whilst the camera did pick up most of the orange than the pinky-peach, it also has a lovely shimmery-sheen to it. I needed about 2 coats of this with a base coat and a top coat to finish it off. What nail polish shade are you wearing this week? I'm always curious to see what others are sporting this summer with so many different colours to choose from. WHAT'S YOUR FAVORITE NAIL SHADE? This is lovely, I'm wearing bright coral by autograph. Another summery colour. I love the color as well, looks so lovely on you, doll!